Armenian Cathedral of Sts. 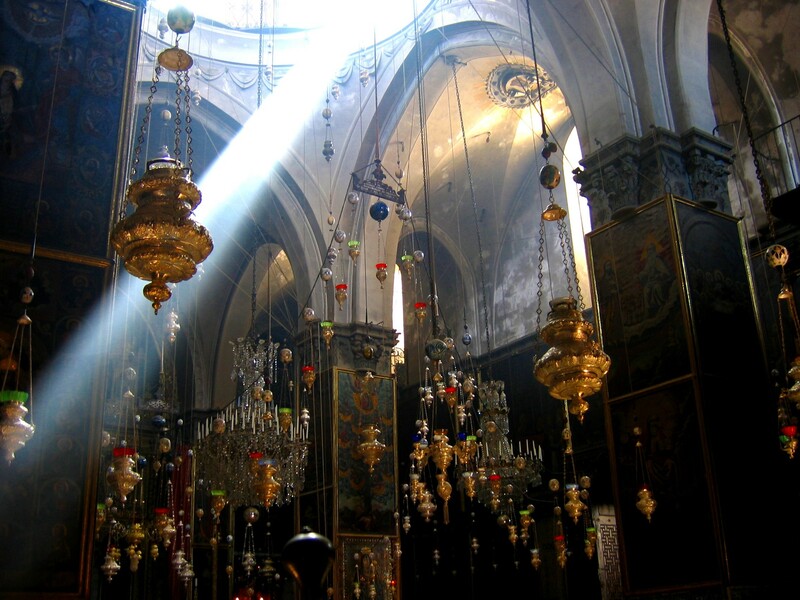 James, Jerusalem : A shaft of sunlight filters through the lingering haze of incense following the Armenians’ afternoon vespers. 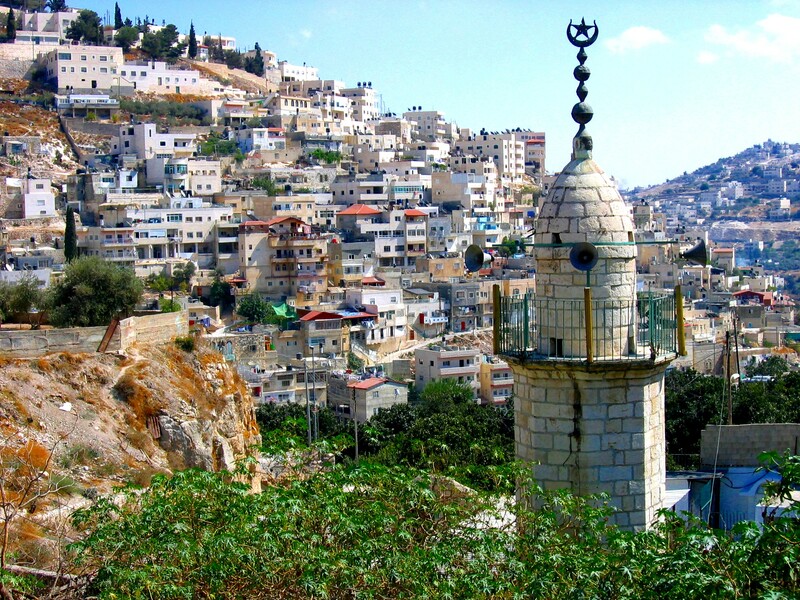 The Village of Silwan (aka “City of David”), south of the Old City. Beside (and below) the minaret is the Pool of Siloam. 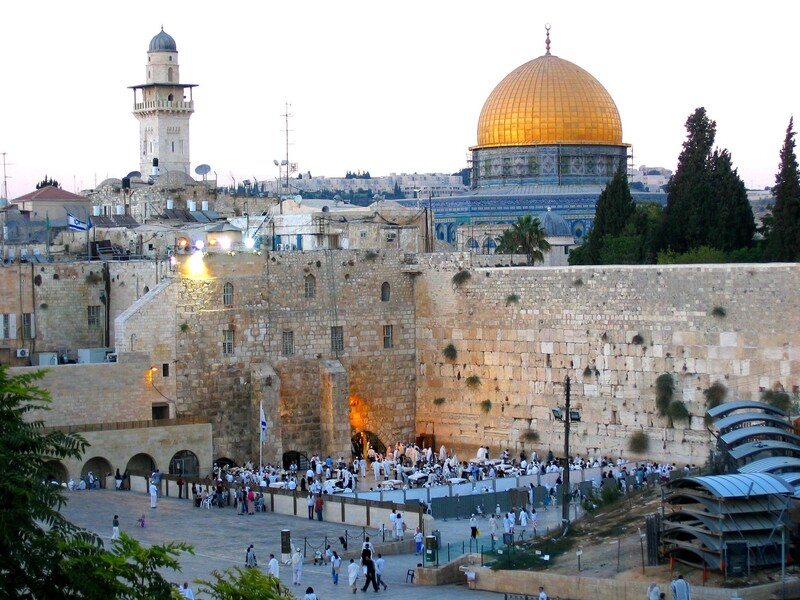 The Islamic Dome of the Rock and the Jewish Western Wall prayer plaza. Few other scenes so graphically encapsulate Jerusalem’s historic status – its destiny – as the shared “Holy City” of so many disparate peoples.